Throughout the first year of his presidency, Donald Trump and his administration have demonstrated an unprecedented disregard for science and facts. The president himself and multiple high-ranking officials, including the director of the Environmental Protection Agency, are climate change deniers. Many others downplay its impact or the role of humanity in climate change. Additionally, the president still has not nominated someone to serve as a science advisor, many other top science positions remain unfilled, and nominees for positions like USDA chief have not possessed any background in science when they clearly should. Not to mention the President has trouble with basic math, as he could not tell that Obama’s inauguration crowd size was much bigger than his. 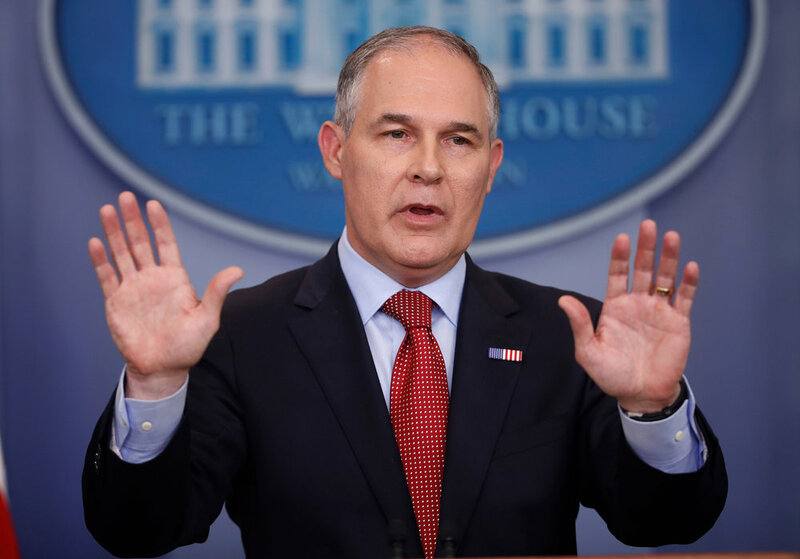 The treatment of science and scientists at the EPA is of greatest concern, as climate change is an area of science that is already having a profound effect on our world that will continue to grow. Recently 3 EPA scientists scheduled to talk on this issue were prevented from doing so by the organization. EPA science advisory boards are being stacked with industry-friendly researchers. And at the upcoming UN climate change conference the United States in planning to, unsarcastically, promote coal, natural gas, and nuclear energy as the solution to climate change. All this despite a report just released by 13 federal agencies that says that humans are the dominant cause of the global temperature rise that has occurred since the start of the 20th century, with “no convincing alternative explanation” that anything other than human action (including burning fossil fuels) is causing this. The report is the product of the work of hundreds of experts across the scientific community, and is considered the United States’ definitive statement on the science of climate change. Neil deGrasse Tyson has a fantastic quote about science: “The good thing about science is that it's true whether or not you believe in it.” Some will say that scientists can be biased, that this can affect their results and their data. There is very little justification for claiming that bias should allow for the evidence of climate change to be discounted, because so many different scientists with different backgrounds, from different countries, and with different funding have reached the same conclusions. When such a wide majority of the scientific community gives the same answer, we can safely assume that the answer is correct. The science of climate change is true whether or not Trump, his administration, or his supporters choose to believe in it or not. Knowing that, it becomes painfully obvious that the actions taken by the Trump Administration in regards to climate change are a clear threat to the national security of the United States, not to mention the safety of the entire world. Climate change, if it continues to progress unabated, will affect everything from sea levels to food production. Those who claim that it is too costly to adequately address the issue would do well to remember that putting in the work now will mitigate problems that could cost much more down the line. Scientists must be allowed to speak on this issue. They must be able to continue to research climate change without fear they will be silenced, without fear that their work will be ignored because it conflicts with the inane beliefs of the president or the profits of the fossil fuel industry. Science should not be something that is partisan, yet the Republican Party has been drifting away from the scientific community on a number of issues for years. If the U.S. want to continue to lead the world in areas like technology and innovation, politicians must stop ostracizing scientists from government and ostracizing science from their decision making processes. Our political disagreements should be over how best to solve the problems that scientists and researchers have presented to us, not whether they exist in the first place. Only by returning science to its rightful place of importance in our society can we be a successful country.